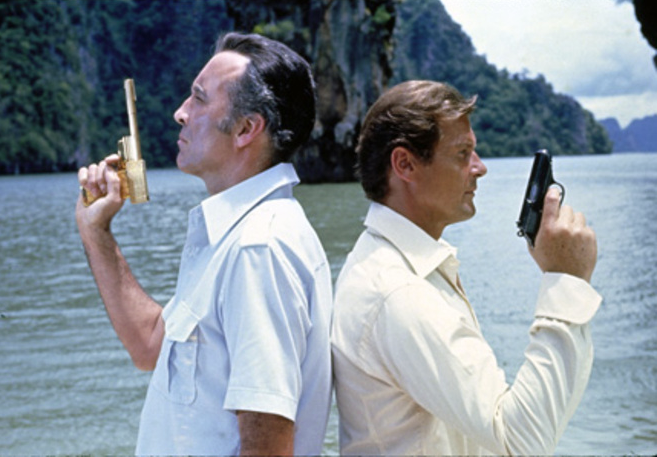 Christopher Lee‘s association with Bond goes beyond Francisco Scaramanga from his role in The Man With The Golden Gun. Lee was in fact step-cousin to Ian Fleming and knew each other fairly well. His mother, Evelyn, then married Harcourt George St Croix Rose, a banker and uncle of Ian Fleming. Lee’s military past was just as illustrious as Fleming’s. As well as fighting for the Special Operations Executive or SOE, he also volunteered to fight for Finland in the Winter War prior to WW2. During WW2 he fought in North Africa, and saw the concentration camps first hand while working for the Central Registry of war Criminals and Security Services. Here, he was tasked with helping to track down Nazi war criminals. Possibly the first and only time any one could out-daunt Christopher Lee! It was golf however, that would begin the realization of bringing Lee closer to Bond’s world. 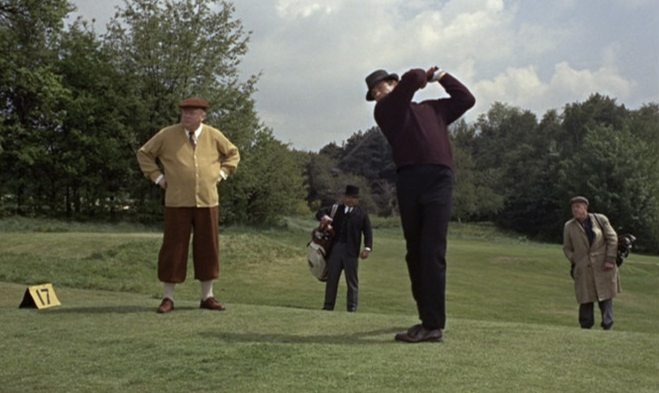 Both he and Ian were members at the Royal St. George golf club in Sandwich; they played a round that Fleming actually drew inspiration from, for his golf scene in Goldfinger. “One of my books is to be filmed. Have you ever read Dr. No? I want you to play Dr. No if you will. You’d suit the part! I asked them to offer you the part.”. Some thirty years later he would reprise the role by providing the voice of Scaramanga in the video game GoldenEye: Rogue Agent. Was Christopher Lee a spy himself? It has been rumoured, that he was in the Special Operations Executive, part of an elite “secret army” charged with encouraging sabotage behind enemy lines. Lee is fluent in English, Italian, French, Spanish and German, and moderately proficient in Swedish, Russian and Greek. These articles are absolutely fascinating to any Ian Fleming aficionado, it’s so good to know that these memories and anecdotes will not be lost forever. Many thanks to all who produce them. Thank you for you comment Barry! Yes, our mission if you will, is to preserve these memories.